We know that BlackBerry is expecting to launch 6 models this year. So far, we have seen the all-touch BlackBerry Z10, the QWERTY equipped BlackBerry Q10 and the emerging markets version of the Q10 known as the BlackBerry Q5. 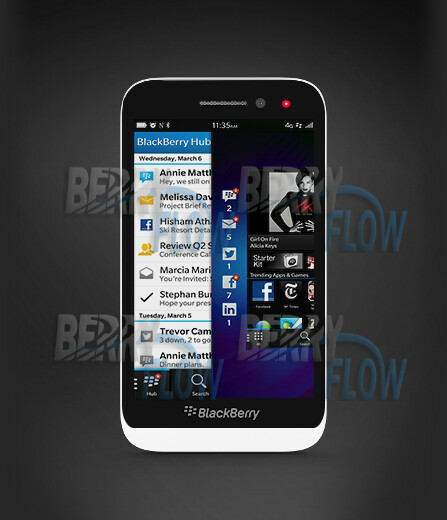 Now, images have leaked of a lower-priced version of the Z10 called the BlackBerry Z5. Just like the Q5 offers a physical QWERTY that is not quite up to the standards as the one on the Q10, the Z5 looks to be a downscale version of the all-touch BlackBerry Z10 model. This device will probably find its way to emerging markets like India, China and parts of Asia. BlackBerry CEO Thorsten Heins had earlier hinted that there would be two high end, two mid-range and two entry-level BlackBerry 10 models launched this year. The BlackBerry Q5 and the BlackBerry Z5 would appear to cover the low end, entry-level market and the just rumored BlackBerry A10 would cover the high end. 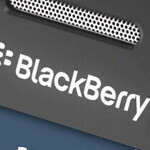 The BlackBerry Q5 and BlackBerry Z5 would take care of the middle of the market. Since the A10 is believed to be a high-end touch screen model, that would leave the Canadian manufacturer short one high end QWERTY equipped device. 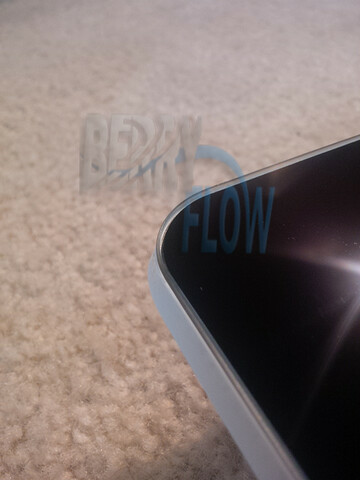 Back in March, Heins said that a high-end BlackBerry 10 model would be coming for the holidays. Whether this is the rumored A10, or another model with a QWERTY keyboard is unknown. The executive said that he was excited about this phone. All of the touch screen models this year, the Z10, Z5 and A10, should have a 4.2 inch screen with the same 768 x 1280 resolution. And both QWERTY-equipped models, the BlackBerry Q10 and Q5 have the same 3.1 inch screen with 720 x 720 resolution. This makes it easier for developers to write apps for all models at once. it has a 720p screen...how come its entry level? Because not everything is about the resolution. You do know that if you speak about hardware the BBC z10 and q10 even the q5 is not entry level right? The have dual core CPU which is tolerable and most of all it has 2gb of ram..which only high end android have but the q5 will have that ram as well! Lol...not at all!! Look at wp. Still at dual core and 1gb of ram. Its not what the inside matters when the software is well optimize and running smoothly!! looks like a lumia 822..
Wow, what a cute device! I loved it, now this should come with good specs to compete with Android.